Welcome to Lakewood Ranch Chiropractic Of Bradenton! Residents of Bradenton, Lakewood Ranch, Sarasota and Fruitville, FL communities are welcome to Lakewood Ranch Chiropractic for all your health and wellness needs. Dr. John Nichols is dedicated to helping you live a healthy, energetic and pain-free life. Our chiropractic care programs are designed to fit your personal needs whether you are recovering from an injury or are suffering from chronic pain due to a condition such as fibromyalgia. Dr. Nichols has over 10 years of experience providing chiropractic care and helping people reduce their pain. Dr. Nichols graduated from Palmer College of Chiropractic and he specializes in sports medicine, nutrition, exercise therapy, recovery from auto accident injuries, pregnancy, and pediatric care. Our goal at Lakewood Ranch Chiropractic is to provide an alternative, holistic, natural approach to help your body heal itself and restore balance. Neck Pain - We determine the underlying cause of your neck pain by examining your posture or through the use of x-rays. Then, we adjust the vertebrae in your neck and cervical area with gentle hands-on manipulations, or through the use of a small tool. A healthy alignment reduces your pain and trains the body to remain in proper posture. Spinal Decompression- A spinal decompression table provides tension on your spine to create space between the vertebrae. This space reduces the pressure on nerves which lessens pain, weakness, and numbness. Herniated Disc- We gently guide the disc into place with our chiropractic adjustments. We also use massage therapy and exercise rehabilitation to support the disc position. Back Pain- To overcome back pain, we use a combination of chiropractic adjustments, massage therapy, hot and cold therapy, ultrasound, decompression and electrical stimulation. These tools reduce your discomfort and improve your health. Car Accident Injuries- In Florida, you have 14 days to seek care for your automobile injuries. We can help overcome whiplash, neck pain or back pain that is a result of an accident. Our gentle adjustments and decompression techniques quickly reduce your discomfort. Massage Therapy- Massages reduce tight muscles so your body remains in a healthy alignment for proper blood flow and healing. 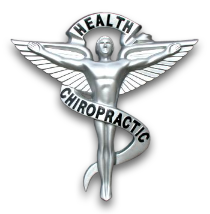 Chiropractic Care- Our care program meets your needs. Our adjustments are specific to your condition and promote your body's ability to heal itself. Physical Therapy- We combine rehabilitation exercises with our chiropractic care to strengthen muscles and enhance your flexibility. The goal is to align your entire body to avoid future injuries and reduce discomfort.